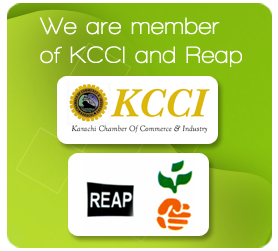 It is the SERVICES in the commodity business that set apart an excellent company from an average one. Being of the oldest and the largest exporters from Pakistan we deliver on our promise of QUALITY, QUANTITY, PRICE, SOURCING and TIME. We apply substantial investments and efforts fulfilling this pledge. 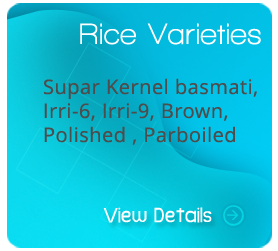 Stringent purchasing standards and quality controls with consistent blending and preparation of rice stocks ensures a high uniform quality. We also maintain substantial buffer stocks in our warehousing facility near Karachi Port with over 60,000M. tons capacity which prevents moisture, discoloring and polish variations which may occur with low inventories and little lead time between shipments. All our consignments are inspected by internal and external quality department. As a policy all bags are individually weighed on automatic packing machine and rechecked at the time of shipment on electronic scales to doubly ensure that no variation in weight occurs. 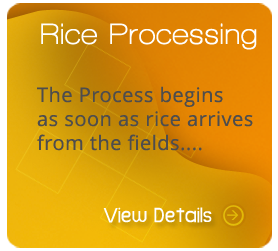 Being the largest rice buyer in the local market on financially attractive terms, our company is in a unique position to source the best available stocks for processing to ensure the premium quality for our customers. By maintaing large inventory of stocks at all time in our warehouses with steady stream of available vessels, we can offer immediate deliveries to our buyers on C&F basis (even in off season). Thereby reducing the lead time for our Customers to avail the opportunity in their domestic markets.